118 m² living area, 140 qm incl. two 66 m² terrasses, 3-5 rooms, with 2 big terraces, two daylight bathrooms, both with access to terrace. Outside steam room/sauna on terrace), up to 3,30 meter high ceilings, chimney, modern design/architecture. Big dry cellar, with full metal covered walls for privacy. find more offers on our corporate site. In Germany, you typically get a mortgage for 5, 10 or 15 up to 30 years fixed interest rate. The longer the rate is fixed the higher the interest will be. This is due to the unforecastable and therefore uncalculatable spread between market interest and the fixed interest in the future. On top the higher the loan in proportion to the value of the property (LTV) will be, the higher the interest rate will be. Is the loan 60% of the property value, the interest rate will be lower than if the loan is 80% LTV. Obviously, the risk for the bank is higher the higher their portion of the loan. In other words, the more equity the lender injects the less risk the bank has to cover. Typically after the end of the fixed rate, the bank will offer you a prolongation of the loan with new rates according to the market price at this point. You can accept this offer or you could try to get another bank to get another mortgage with better rates. But here are the pitfalls to consider. while any new lender will perform a complete new check of the borrower and the property, as it would be brand new loan with all the required paperwork. This could be good or bad and depends on how your personal situation, the property market, and your property changed. We typically consult our clients not to necessarily go with the bank with the best offer, because the new players on the market offer highly competitive rates to penetrate the market, but might not be around in a couple of years, or change their business model when you need the prolongation. Better stick with the big players and swallow a slightly higher intrest rate. Never, never walk alone into a bank, always work with a loan agent. Property loans and mortgages for foreigners is not an easy task in Germany. Especially for investors who are non-resident and or non-domiziled foreigners. We call this “tax-foreigner” or in German “Steuerauslaender”. We now have a senior loan agent taking care of foreign borrowers. If you like to finance or re-finance your German property loans don’t hesitate to contact us now. No matter if the property is purchased with us or not. Please, please avoid to call us. Upfront and straight forward, we don’t recommend for anyone to look into foreclosure as a source for property investments. Financing, at least the traditional bank financing with a mortgage will not be available. This is due to the structure of the process in court, with the hammer the buyer becomes the new owner in the land register, no possibility to file for a mortgage. Conclusion, no bank will borrow as there will be a gap where they are not secured and you have full access and ownership. The bidder will not be able to check the property on auction from inside. He has to rely solely on one source of information, an appraisal done by a court-appointed appraiser. Typically this report and the valuation is 12-24 month old. The property most likely is in a much worst condition on the day of the auction. Demand is either very high, the courthouse is full of bidders and those bidders typically push it higher than market price, or demand is very low, because of a reason. Both is not what you want as an investor. Even if you did all your homework properly and you are ready to bid in the auction, it happens that at the day of the auction or even just minutes before, the auction will be channelled because the owner of the property (or the bank) agreed to a deal with somebody. If you don’t have the legal knowledge yourself than it’s too expensive to buy that knowledge from a lawyer or another knowledgeable person. If you don’t speak German yourself it’s a mess. Bottom line foreclosure is something even we as locals, with perfect language capabilities and market knowledge stay away from. All the above counts for real (forced) foreclosures, there are however normal property auctions which we highly recommend. The biggest German Property auction house is DGA Deutsche Grundstücksauktionen AG, a listed company here on the German stock market. Once you get registered with DGA AG you will receive all (print) catalogs from all their subsidies. The second biggest German property auction house is Karhausen AG. I am Alexander Korte and together with my wife Swetlana and my partner Gianmaria Condulmari I run a property developer and asset management company in Berlin (Germany). I started my first property business in 1997 with a brokerage company. The company is still in operations and we advise a handpicked crowd of investors, and as you could guess we are most and above all property investors ourself. A couple of years ago we used to recommend to buy a block (one full multifamily house), but nowadays the market is flooded with money and hardly anyone owing a block sells. On top, the prices climbed and today one or two million will get you hardly a multi-family-house in a promising area. from experienced boutique developer Torsten Bülow. Very high standard and 15 underground parking. These residential investment locations in Germany have potential according to CORPUS SIREO. CORPUS SIREO is one of the biggest Asset Management Service Companies in Germany with asset under management of 50 Mrd. Euro and more. As usual the Top7 in Germany and another locations with potential, mainly university towns are found on the list. On top, the real estate company Corpus Siero searches in this B-cities, mainly university towns for opportunities according to their investment acquisition profile. The full Acquisition Profile Residential Real Estate and Residential Portfolios of CORPUS SIREO can be foundhere: Acquisition Profile. In this risk-off climate, in which many real estate investors are clearly willing to sacrifice some yield for lower risk, Germany is widely regarded as the new haven for capital. According to Emerging Trends Europe, the five leading cities for overall investment and development prospects in 2017 are Berlin at Number 1, followed by Hamburg, Frankfurt, Dublin and Munich. Can’t find the report? Please get back to us, we still have a copy on our servers for you. 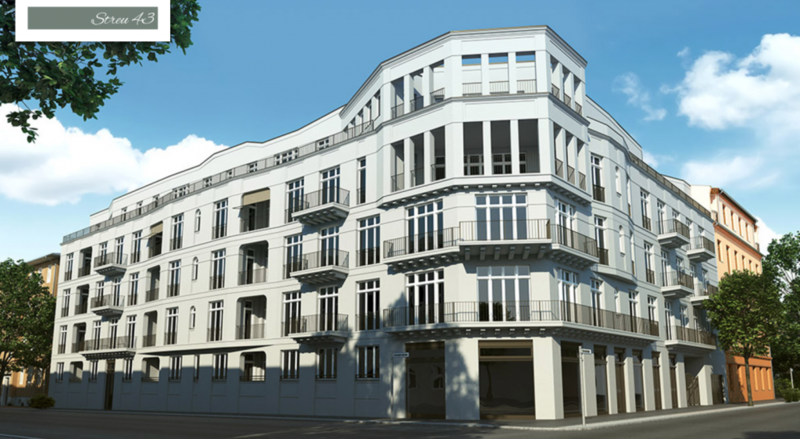 What do you consider a good location to invest in Berlin? This is one of the main questions we get from our customers. prewar instead of postwar, not the house (we prefer new constructions), the area. green is important, a park and trees in the streets make a huge difference quality. good access to public transport is a must, as most Berliners don’t own a car. urban is better than suburban, go for 5+ storied housing, supply here is limited. it’s highly likely it will be in demand today or in the near future. You might be interested in our list of interesting Berlin location for investing. CBRE and BerlinHYP have published the annual Housing Market Report Berlin 2017 with Housing Cost Atlas. currently under construction or planned. (plus 15.7 percent) further increase considerably. More offers for furnished rental apartments. Around a quarter of all German development transactions recorded in Berlin. The English Version you find here: “Housing Market Report Berlin 2017 with Housing Cost Atlas“. The German Version you find here: “Wohnmarktreport Berlin 2017 mit Wohnkostenatlas”. If those external links don’t work anymore, please reach out to us, we have a copy archived.